The Prime Broiler Range has been specially designed for farmers who produce broilers for the live market between 6-8 weeks of age. The rations in this range, with the exception of the Post-Finisher, include a coccidiostat and a growth promoter, but no animal by-products or hormones. Feed broilers from day old to 16 days of age. The approximate feed consumption is 600g – 800g per bird. Crumbles are fed for faster growth and better feed conversion, while mash is fed to birds to slow down growth and reduce the incidence of ascites/waterbelly. The Prime Broiler Range has been specially designed for farmers who produce broilers for the live market between 6 – 8 weeks of age. The rations in this range, with the exception of the Post-Finisher, include a coccidiostat and growth promoters, but no animal by-products or hormones. 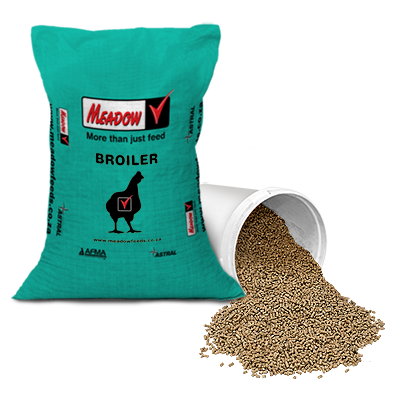 The Grower ration should be fed to Broilers from 17 days to 30 days of age. The approximate feed consumption should be 1.5kg per bird. This ration may be fed through to term but this is not advisable. Broilers from 31 days to 38 days should be fed Finisher. 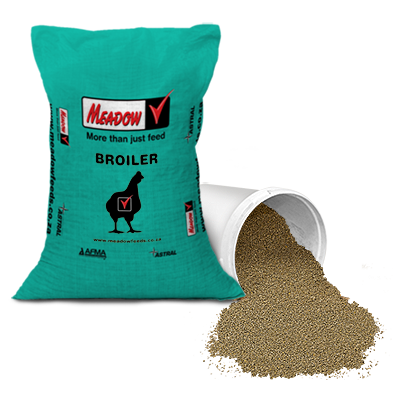 The approximate feed consumption should be 1kg per bird to 38 days. The Prime Broiler Range has been specially designed for farmers who produce Broilers for the live market between 6-8 weeks of age. This ration does not contain a coccidiostat or growth promoter, nor does it contain animal by-products or hormones. Feed 5 days prior to sale or slaughter. The Classic Broiler Range has been specially designed for farmers who produce broilers for the live market between 6 – 8 weeks of age. The rations in this range, with the exception of the Post-Finisher, include a coccidiostat and a growth promoter, but no animal by-products or hormones. The Classic Broiler Range has been specially designed for farmers who produce broilers for the live market between 6 – 8 weeks of age. The rations in this range, with the exception of the Post-Finisher, include a coccidiostat and growth promoters, but no animal by-products or hormones. The Classic Broiler Range has been specially designed for farmers who produce Broilers for the live market between 6-8 weeks of age. The rations in this range, with the exception of the Post-Finisher, include a coccidiostat and growth promoters, but no animal by-products or hormones. The Classic Broiler Range has been specially designed for farmers who produce Broilers for the live market between 6 – 8 weeks of age. This ration does not contain a coccidiostat or growth promoter, nor does it contain animal by-products or hormones. 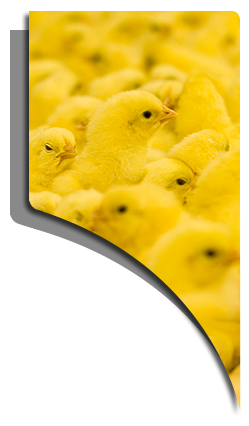 The Select Broiler Range has been specially designed for farmers who produce broilers to slaughter at 6 weeks of age. This diet specification ensures an optimum dressed bird. The rations in this range, with the exception of the Post-Finisher, include a coccidiostat and growth promoters, but no animal by-products or hormones. The Select Broiler Range has been specially designed for farmers who produce broilers to slaughter at 6 weeks of age. This specification ensures an optimum dressed bird. The rations in this range, with the exception of the Post-Finisher, include a coccidiostat and growth promoters, but no animal by-products or hormones. This ration should be fed to Broilers from 17 days to 31 days of age. The approximate feed consumption should be 1.5kg per bird. Broilers from 32 days to 37 days should be fed Finisher. The approximate feed consumption should be 1kg per bird. The Select Broiler Range has been specially designed for farmers who produce broilers to slaughter at 6 weeks of age. This specification ensures an optimum dressed bird. This ration does not contain a coccidiostat or growth promoter, nor does it contain animal by-products or hormones. Feed for 5 days prior to sale or slaughter. The Broiler Maintenance diet has been specially designed for farmers who want to maintain their broilers until slaughter at 7 weeks of age. This ration does not contain a coccidiostat or growth promoter, nor does it contain animal by-products or hormones. Feed ad lib. to broilers from 5 to 7 weeks of age.